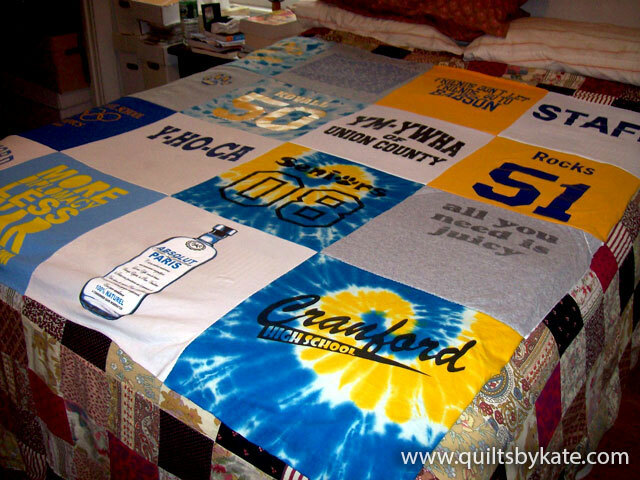 All Quilts By Kate are one-of-a-kind originals. A piece like this would be priced as a 16-square t-shirt quilt. Measures 56" x 56".